“Read your Bible.” But how? I’ve benefitted from reading large portions of Scripture–whole narratives, books, and multiple chapters–in one sitting. I’ve also benefitted immensely from slowing down and meditatively just reading a few verses at a time. Lectio Divina is a way of reading Scripture that encourages that. It’s reading, as many have said, for transformation and not just information. Lectio Divina means “holy reading” or “divine reading.” The idea is to deliberately reflect in God’s presence on God’s words, inviting God to echo his words in us today. The most classic formulation of this ancient Benedictine practice is the four-part: lectio (read), meditatio (meditate), oratio (pray), and contemplatio (contemplate). Read: What does the passage say? Listen: How is God calling me to respond to what he’s saying? Respond: What will I commit to God to do in response? In a group setting, readers (four different ones) can read the passage out loud (slowly) before each of the four movements. Individually, one could just read and re-read the passage before each of the four movements. I’ve also found benefit in doing the fourth “respond” movement creatively: maybe I respond not just seated through prayer, but perhaps there is a response through song or drawing or movement that I can offer. 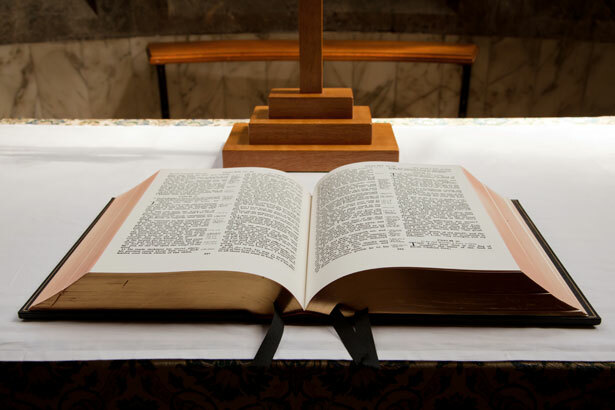 There are other approaches to Lectio; it’s certainly not meant to be formulaic. But whether I do it in 5 minutes or 30 minutes, with a group or by myself, I find that I am always impressed with how much God’s Word/words still can speak today–if I quiet myself enough to listen. Next Post My five-year-old son reviews: Can You Count to a Googol?